The opportunity to be in the presence of my amazing friend, Laura. Laura and I only recently became friends, and we immediately discovered that we share a heart and soul connection that makes our budding friendship even more special. We both have busy personal and professional lives, but we took time today to meet for coffee and tea and to be fully present for one another. We chatted about things from the past, where we are at this moment, and where we are going, and our chat was punctuated by laughter and “aha” moments. Laura’s positive energy and genuine beauty are palpable, and she inspires and motivates me to ask and answer the question, “Why not me?” I treasure my time with her, and every time we part ways, I already look forward to our next meeting. She is that kind of friend! Time spent outside under clear blue skies, bright sunshine, and crisp temperatures. As I did yard work, I stopped several times to marvel at the beauty that was all around me, and I took in the scent of the pine trees and felt the delicious combination of the warmth of the sun and the near freezing temperature on my skin. Working in the yard is therapeutic for me, and my time outdoors left me feeling content with myself and my life. The music of Pearl Jam. I rediscovered their music over the summer, and it has been a mainstay in my every day life ever since. I am passionate about music, as it sometimes expresses feelings and thoughts that I find so difficult to articulate or express, and I find that Eddie Vedder is the perfect spokesperson for many of my emotions, memories, and musings. Pearl Jam’s music resonates with me, and I am so grateful that I stumbled across their songs again. So, there you have it, and I hope that you found much to be grateful in your own life today. Terry, welcome to Kentucky, and I hope you are getting settled in and enjoying it! I have lived in Louisville my entire life. Where did you move from? Congratulations on your writing, and thank you for being a caregiver! I hope this move is full of more great opportunities for you and yours. So far, so good, and I would love to see what makes your gratitude list! That is fantastic, and I hope you will feel free to share your gratitude list. Grateful for EVERYTHING,, put everything on the list. Not one thing I am not grateful for as I know I/we create everything that happens to us so NO victim is possible, no good or bad as all roads lead home. The only job we have is to unconditionally love ourselves and then all follows. The problem for most is that it is to simple. Been in the game some 45 years now and this is my conclusion. 🙂 The ONLY attitude . . .
Davy, I absolutely love your perspective and hope to emulate your attitude of gratitude myself! You made my Monday all the better and brighter with your kind and wise words and observations, and I thank you from the bottom of my heart. I did something like this on Facebook in August, which is my birth month, and I had a similar hesitation. I decided to try it, as I cannot have too much gratitude in my life. Reblogged this on Rosie Amber. Many thanks for reblogging this post, as I appreciate it! Nice post. Hope your well. Jeb, so nice to hear from you, and I hope all is well with you and yours. I am happy and grateful to say that I am in a good place in my life right now, and I am doing what I can to build on that. Wrote this years ago. Gratitude changed things completely. A very special thank you to Davy Jones for sharing his story with us! Davy was born in Chicago and now lives with his wife in Scotland. He enjoys bicycling and loves to dance. Davy, thank you so very much for sharing your amazingly beautiful story! 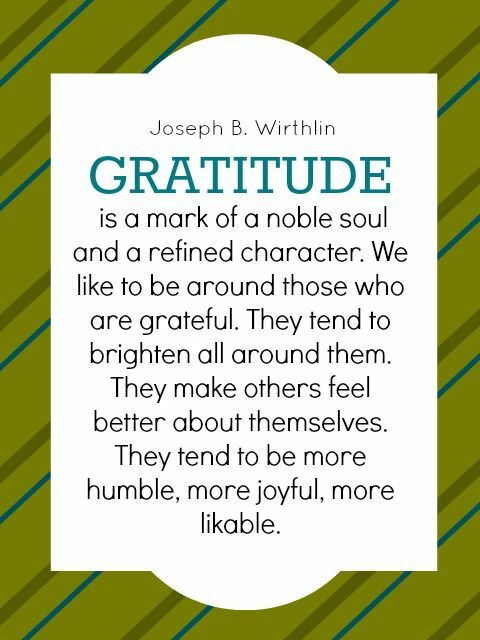 This is a wonderful illustration and reminder of how powerful an attitude of gratitude can be when we are mindful of the abundance and goodness in our lives. You began my day on such a positive note, and I thank you! Thanks for your kind words! I am so glad that you enjoyed this, and since I love music, I really love your idea of doing a gratitude playlist.